The school year is officially in recess, and many of you may be finding yourselves with a house full of kids! Summer is the perfect time to get your children's rooms in shape. You may want to embark on an entirely new room design, or perhaps give your little one’s space a more grownup look. In all cases, it’s a good idea to take the season to clean out everything that’s accumulated during the school year. To inspire your summer refresh, today we’re sharing a few of our favorite ideas for kids rooms. 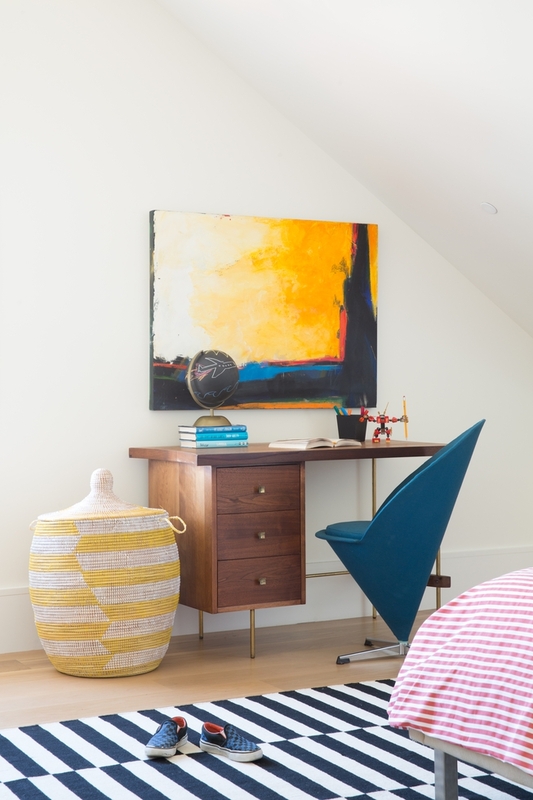 There’s nothing cooler than a hanging chair for the bedroom of pre-teen or teenager. Not only will the suspended seat offer a bit of height to the room, but it’s a playful addition that will add a youthful vibe to your child’s space. 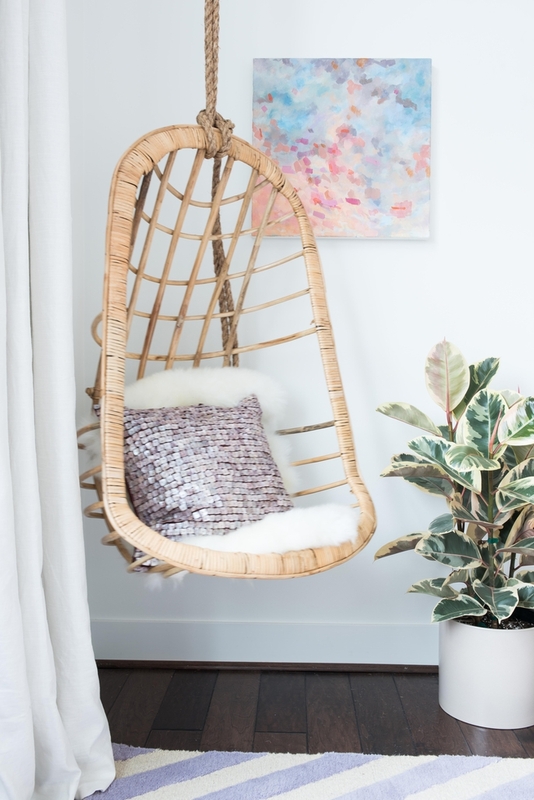 Check out a few hanging chairs we love from Serena & Lily, Restoration Hardware, and Anthropologie. Pattern on Pattern on Pattern! We love a pattern-on-pattern look in any room in the house, but it especially fits in a kids room as it adds a bit of playfulness. Find a color theme, such as primary colors, and mix geometric prints with stripes or botanicals (or all three). Be sure to combine patterns of both large and small scale to create balance. If your son or daughter is outgrowing his or her bedroom, one of the easiest ways to make it more age appropriate is to upgrade to a full or queen-sized bed. A structured headboard and bedframe such as this upholstered winged bed is an instant upgrade, even if you change little else in the room. Children’s rooms are usually the last place in the house you find original art, and thus one of the spaces where art can have the most impact. 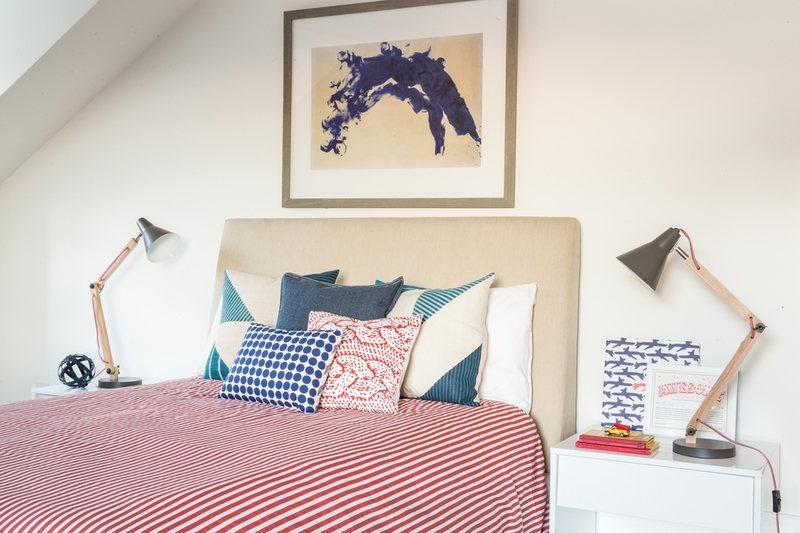 You may not want to invest in a twin bed your child is going to grow out of, or bedding that will look childish in a few years, but if you find original art that you love, you’ll have it forever. Just be sure to steer clear of adult themes—abstract paintings, geometric prints, or landscapes are always a safe bet for a child’s room. If your child is just beginning to do homework, bring in a dedicated desk where they can focus and store their school supplies. 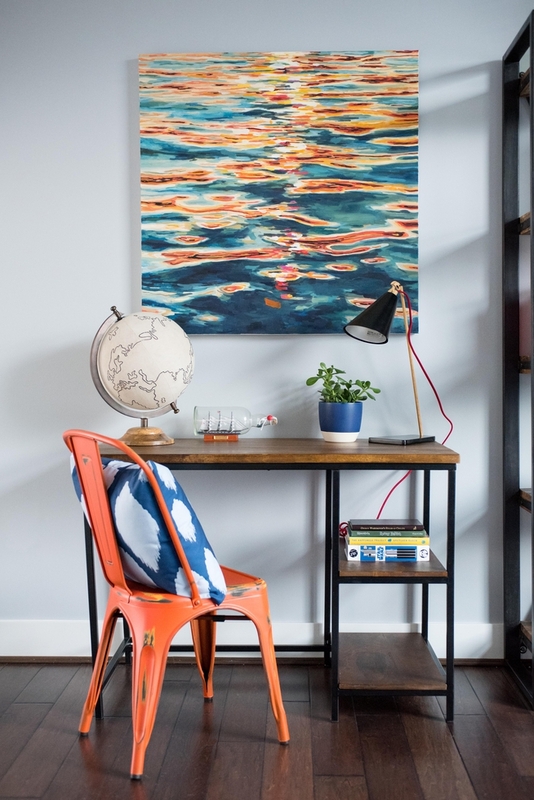 Rather than merely purchasing a desk and a chair, make an effort to style the space with colorful desktop accessories, art, bookends, and more that will make the area an inspiring space to be. Want some designer help decorating your child's room? Get a professional room design for as little as $299/room.